Knowing when to say goodbye to a beloved pet is the most difficult challenge we face as pet lovers. It never gets any easier and often leaves us questioning if there was anything else that could’ve been done or whether we waited too long. There is no absolute rule for when to let an elderly or ill pet go. Your veterinarian can provide sympathy and medical advice. With advances in veterinary medicine opening up treatment options for everything from cancer to chronic pain, it’s hard to know when medical intervention is appropriate. Talk to your vet. Ask questions and make sure you understand what treatment entails. The most important question to ask is: Will medical intervention will improve the quality of my pet’s life or just prolong it? 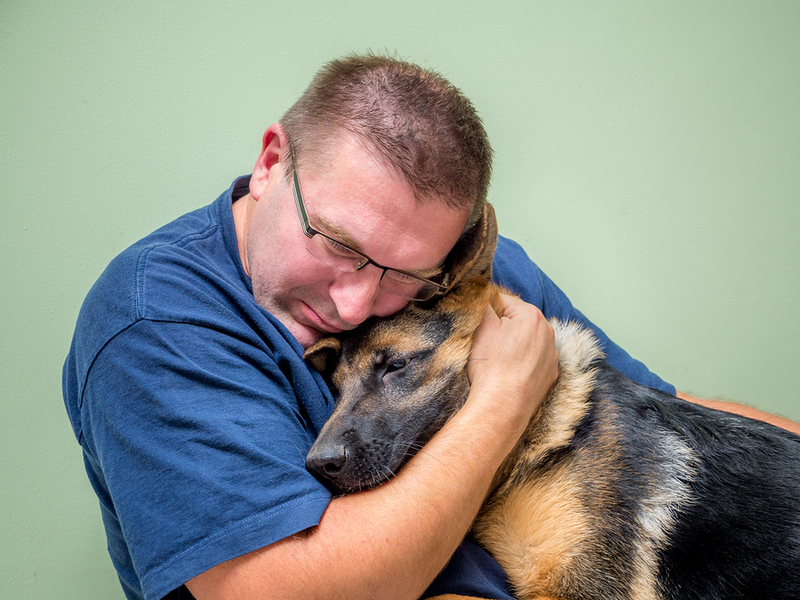 When facing end-of-life issues, your pet needs to come first. Prolonging their life to avoid your grief isn’t doing right by your pet. When it’s time to let your pet go, be comforted by the fact that ending a pet’s suffering is an act of love. Surround yourself with animal lovers who understand the grief you feel, and cherish the wonderful memories of your time with your pet.